George Galloway is one of the politicians and journalists who is known for making changes to his Wikipedia pages with the help of a mysterious editor. Philip Cross, who is known for making a large number of edits to Wikipedia pages has annoyed anti-war activists and critics of British and Western foreign policy as they claim that Cross has been biased against them. ”Phillip Cross” has been the subject of Galloway’s ire and a big debate on the Encyclopedia and Twitter. He has been accused of being biased for interacting negatively with some of the personality whose Wikipedia pages he has edited. Phillip Cross is one of the oldest Wikipedia editors whose account was created on 26 October 2004 at 18:48 GMT. Although he has edited more than 30,000 Wikipedia pages, the numbers are not enough to enlist him to the list of top 300 editors on Wikipedia. Despite the numbers, Cross has worried journalists and anti-war politicians. Among his top 10 most-edited pages are the Daily Mail editor Paul Dacre, The Sun newspaper, and the Jazz Musician Duke Ellington. Apart from these, other top 10 edit pages include a number of vocal critics of American and British Foreign Policy: Labour Party leader Jeremy Corbyn, Corbyn’s director of strategy Seamus Milne and the journalist, John Pilger. Philip Cross has been accused of making favorable edits to pages about public figures who support Western military intervention in the Middle East. Apart from being the hot topic for bloggers and stories in the Israeli newspaper Haaretz and Russian state-owned outlets Sputnik and RT, Cross has also been alleged on social media that he is a government spy, hired by rich and powerful media interests. Galloway said that “His edits are remorselessly targeted at people who oppose the Iraq war, who’ve opposed the subsequent intervention wars … in Libya and Syria, and people who criticise Israel”. Moreover, Galloway earlier has announced a reward of £1000 to the person who could reveal the identity of the editor. The former MP said that he got the information about Philip Cross and the reward has already been claimed, however, he will not reveal the personal details of the person holding the account. In Galloway’s Wikipedia page, about 20 percent of editing has been done by the Philip Cross account. However, it can’t be determined that those changes are a proof of the person behind the account being a political bias. 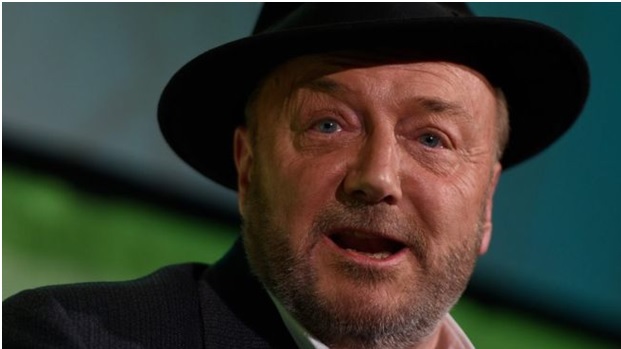 If you see Galloway’s page, you will see a sentence where Galloway has criticized the Labour Party as “Tony Blair’s lie machine” was deleted with cross citing “partial repetition, poor source” as the reason. Similarly, links to lurid tabloid headlines about Galloway’s private life has been removed. Other edits include simple grammatical error. Next story Is Whatsapp Gaining More Attention than Facebook?